Portal » Board index ‹ Blogs ‹ Cain Tiberius's Blog ‹ Eldar Blog 21st July 2013 Guardian test scheme. 1,2) I sanded the base smooth. 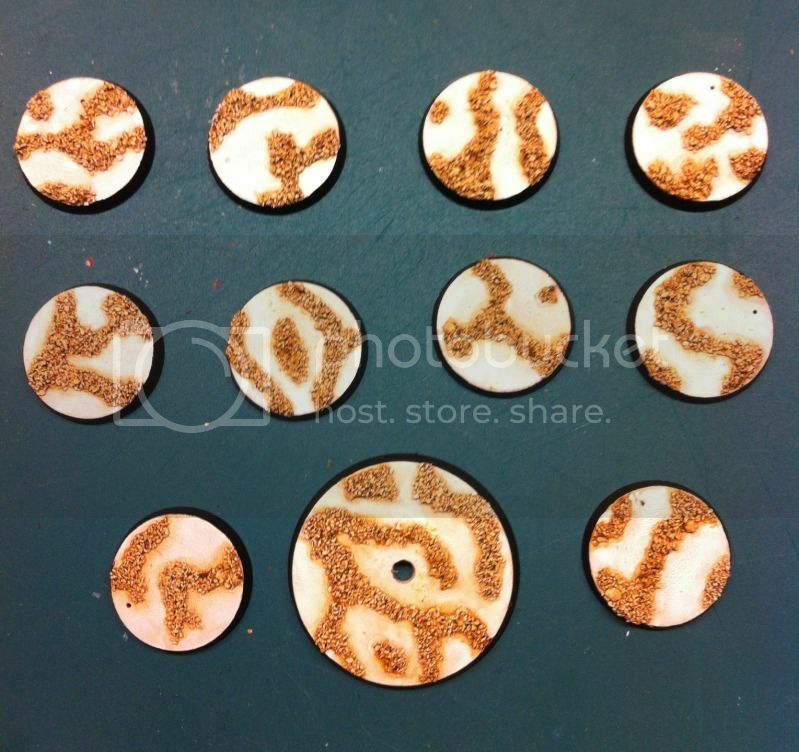 Then selectively applied glue and then dipped the base in my flock/gravel mix box. 4,5) Next I dry brushed it Ushabti Bone followed by Skull White. 6) When dry, I liberally washed just the gravel. While the wash was still wet I brushed clear water to the smooth parts of the base to blend the wash in. 7) Once dry, I then went over the smooth parts with a very very watered down skull white. 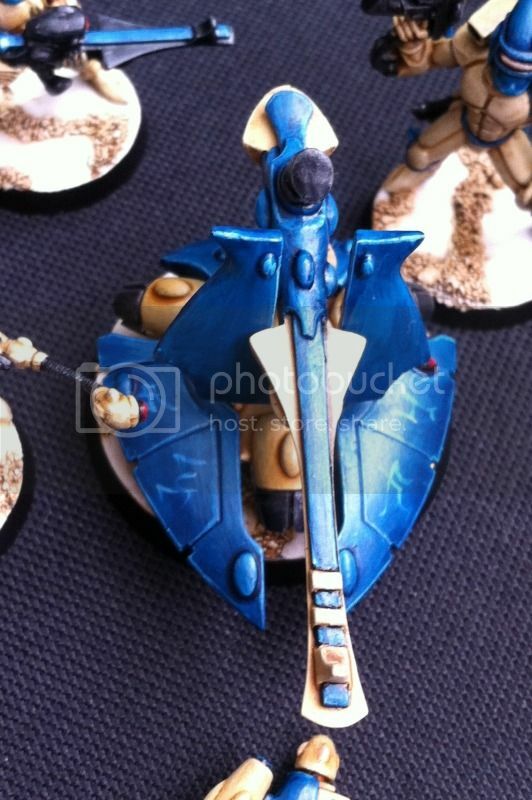 Re: Eldar Blog 21st July 2013 Guardian test scheme. 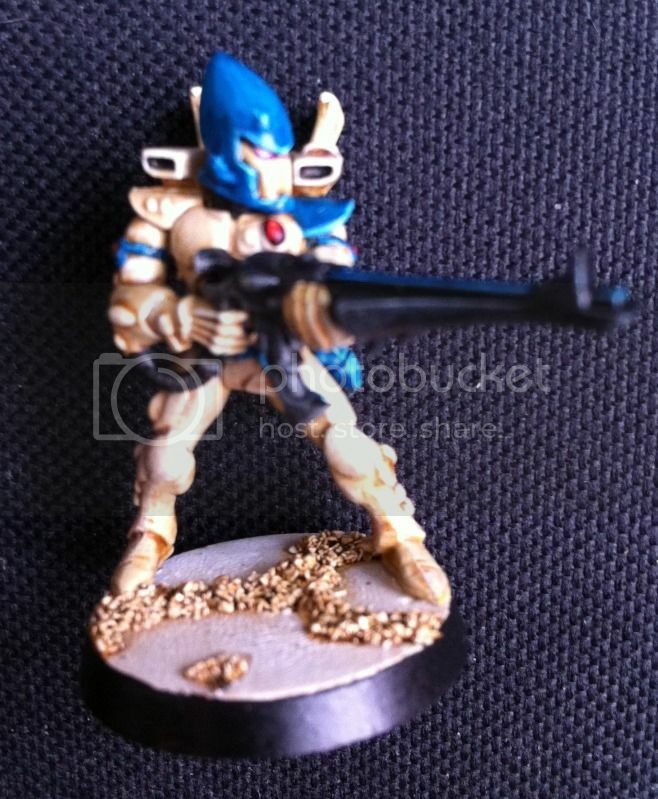 Really nice and simple scheme, looks clean and at the same time, not too basic. Well done! Thank you bud That's what I intended. Something simple, but effective. The photos don't do the blue justice though. In person they look more turquoise. If you can use the bases bud, be my guest! I normally pin mine to the bases.. I had to do that with all my Blood Angels. These I just had to glue. I'm also really liking your Black Legion, especially the Cataphracti. I did a BL force years ago, but got really tired of painting all that black, lol. It's a pain, thats for sure. I added the black and yellow stripes to break it up, and have been playing with different units to keep motivated. I might convert some of the new Basilean Sisterhood to sisters of battle now and use your base method above. Bone and Gold - should be fun. 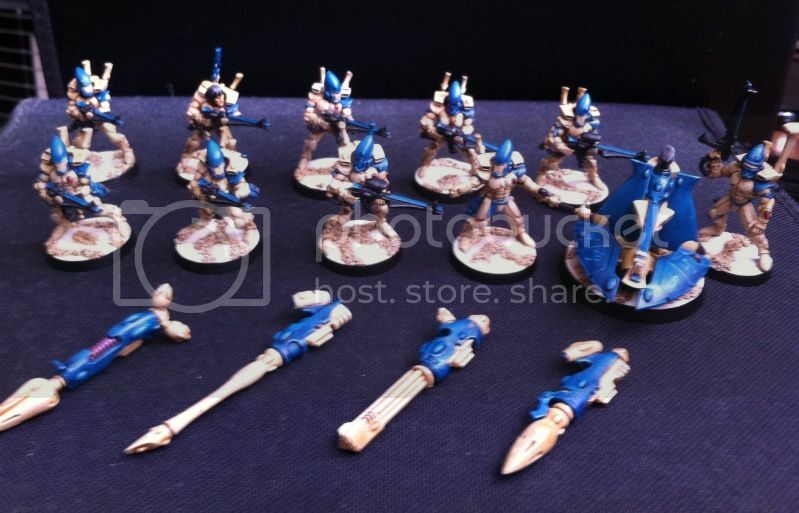 What else you planning to include in your Eldar? But at the moment, I have some metal Rangers, a metal Farseer and a couple warlocks (anyone have any ideas for alternative warlocks?). I have some Dire Avengers and a 2nd hand Falcon that needs some attention. Will have to look into that. Cheers bud! Yes I can see the potential! Definitely worth a try.